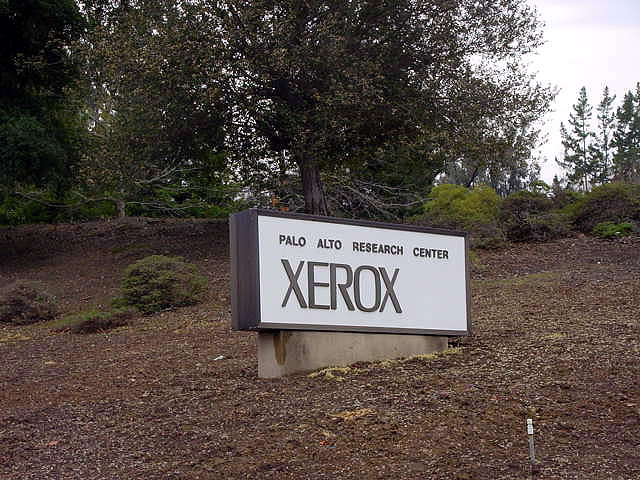 Xerox PARC today announced its ‘Co-Extrusion (CoEx) for Cost Reduction of Advanced High-Energy-and-Power Battery Electrode Manufacturing’ project funded by the U.S. Department of Energy’s (DOE) Office of Energy Efficiency and Renewable Energy (EERE). In collaboration with Oak Ridge National Laboratory (ORNL) and Ford Motor Company, the project will use PARC’s novel CoEx printing technology to fabricate thick higher energy and higher power battery electrodes with the end goal of enabling longer range and low cost electric vehicles. The project goal is to demonstrate pilot-scale, electric vehicle (EV) pouch cells with a 20% improvement in gravimetric energy density (Wh/kg), and a 30% reduction in $/kWh costs. CoEx allows fine structures to be printed at high speed, and when applied to thick battery electrodes, it adds a new design dimension that can be used to enhance energy and power performance. This innovative approach has the potential to help make high performance and affordable electric vehicles (EVs) a reality. PARC will develop the inks and CoEx hardware required to fabricate a thick high energy and high power CoEx cathode electrodes. ORNL will assist PARC with the matching anode development, anode and CoEx cathode coating at pilot scale, and electrochemical performance optimization in automotive-relevant lithium-ion pouch cells. The bulk of this research will occur at the DOE Battery Manufacturing R&D Facility (BMF) at ORNL, which was designed in 2011 with these types of projects in mind. PARC will design a custom CoEx apparatus that will be integrated into one of the research coating lines at the BMF. “The PARC team is excited to start this collaboration with ORNL and Ford. CoEx has the potential to make higher capacity EV batteries possible through the creation of two and three dimensional structures which can enhance lithium-ion pathways in ultra-thick battery electrodes. Our goal is to fabricate EV pouch cells that are higher in energy and power than conventional, with a path towards a reduction in $/kWh costs for EVs”said project principal investigator and PARC CoEx technical lead Dr. Corie Cobb. “PARC and ORNL have a track record of working successfully together, and their collaboration on this project will transform the way lithium-ion electrode coatings are made and perform under high discharge rates,” said ORNL project lead David Wood. PARC’s CoEx project is part of a portfolio of research within the PARC Energy Technology Program aimed at developing practical solutions to make clean and abundant energy available across a wide range of applications. This includes a focus on improving energy storage for EVs, consumer electronics, and electric grid support through better ways to make, monitor, and manage batteries.